Do you love your bed and being snuggled up at home on cold winter evenings? Then this competition is for you. The Fine Bedding Company is giving away ten Night Owl printed duvets in this gorgeous Nordic design. They’re ideal because they don’t need a separate cover and can be popped straight into a domestic washing machine when they need freshening up. Use them on the bed, for sleepovers or instead of a throw for the ultimate cosy evening on the sofa. Each 10.5 Tog duvet is filled with The Fine Bedding Company’s luxurious, soft to the touch micro fine fibres. Its advance fibre technology makes it breathable but warm and comforting. Night Owl is available in a range of colours and comes in two sizes, single (£45) and double (£50) available to buy on their website. And while you’re there - why not check out their other gorgeous bedding products including a brand new ECO duvet made from silky soft fibres spun from recycled plastic bottles. Clever eh? 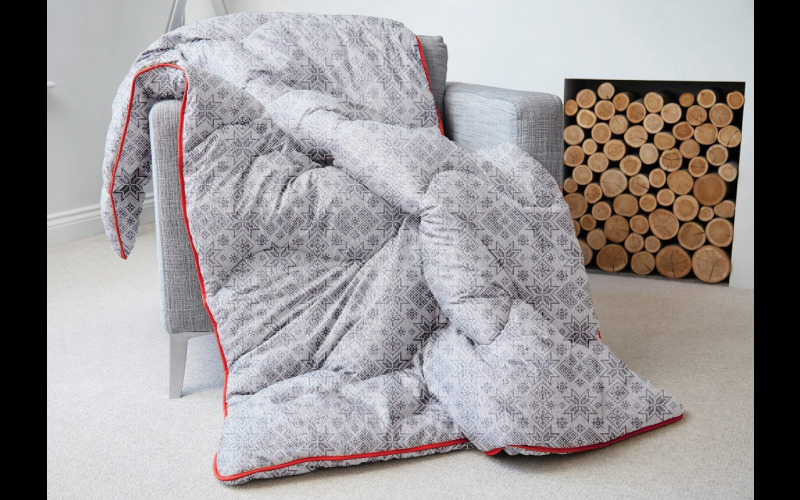 We have ten Night Owl Nordic design duvets to giveaway, worth £50 each.